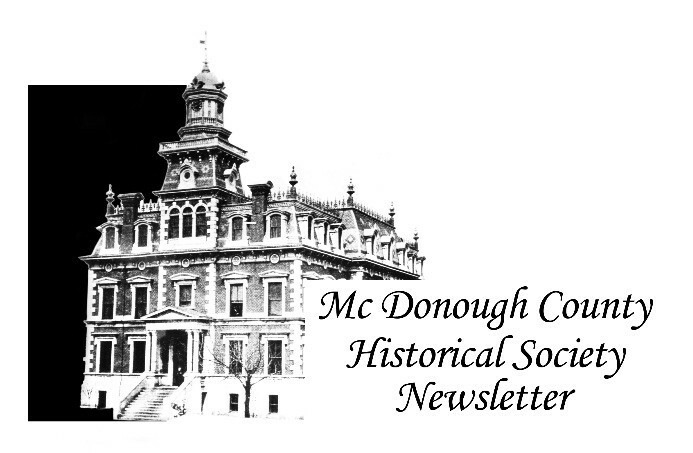 The McDonough County Historical Society produces a quarterly newsletter, a paper copy of the current issue is sent via postal mail to all society members. submission of items pertaining to McDonough County history. To submit items of interest to the newsletter, please use the Contact us! link. Hallwas, John E., and Kathy Nichols. Memory and Community: The Life and Writings of W. H. Hainline. Macomb, IL: McDonough County Historical Society, 2018. Historians often realize that they don’t just provide new information, to make the past more well-understood and appealing for modern readers. They sometimes resurrect the dead—bringing individuals from earlier generations out of the dark realm of the lost and into the modern consciousness. That is the deepest accomplishment of John Hallwas and Kathy Nichols in this book, Memory and Community: The Life and Writings of W.H. Hainline. Yes, the book is filled with accounts of McDonough County, Illinois, historical events, Civil War experiences, noted murder cases, tragic deaths, community activities, and other matters, but it also reflects the personal experience and the inner life of a remarkable figure, who was raised on the frontier, spent four long (and ultimately tragic) years in the Union Army, edited the Macomb Journal for more than half a century, and crusaded for the remembrance and appreciation of others throughout his life. Because Hainline was such a popular local resident, committed civic leader, and talented writer, readers of this volume will not just develop an understanding of the human experience in one corner of America, but will become deeply engaged with a complex, purpose-driven Illinois figure from generations ago. Ultimately, he led a rich and meaningful life because he related deeply to those around him, and appropriately, this collection of his writings prompts us to do the same. 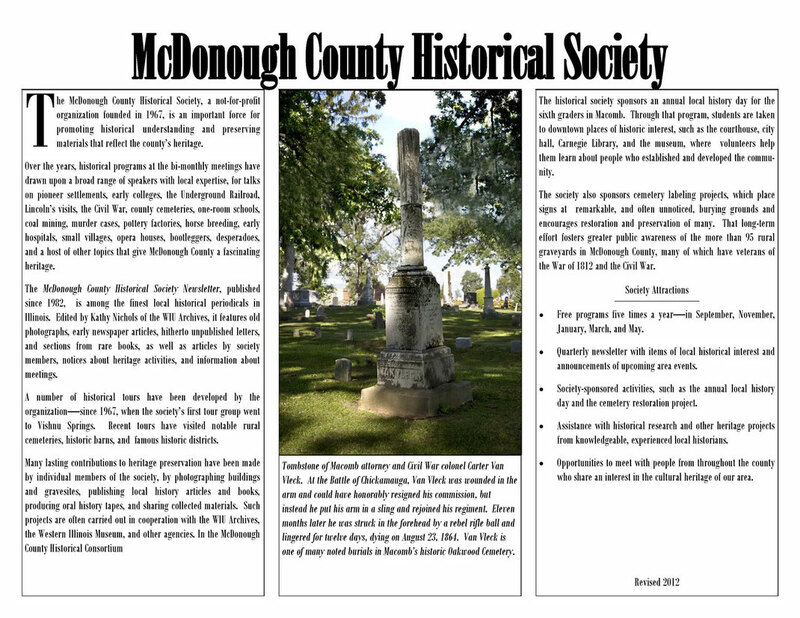 Price for McDonough County Historical Society members is a special discount price of $5. 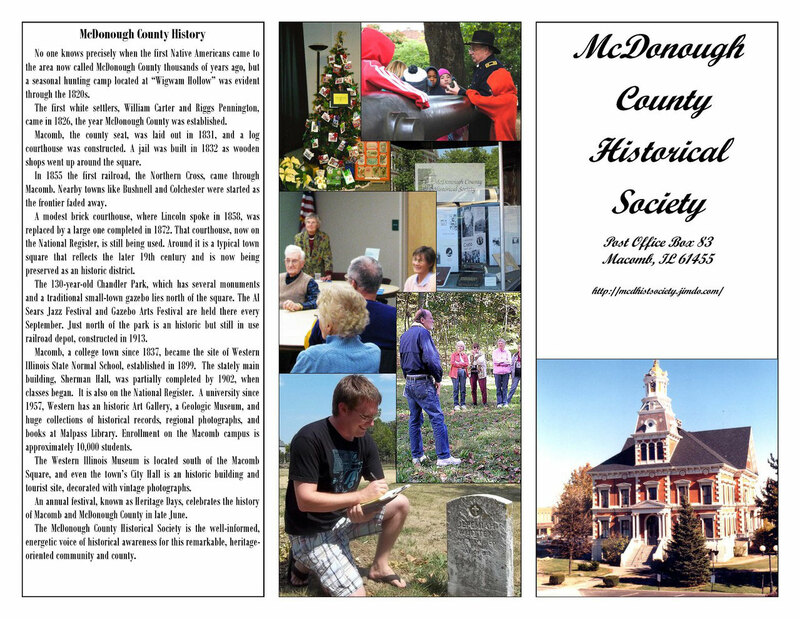 Email: mcdonoughhistoricalsociety@gmail.com or if you prefer, write to the Historical Society, Box 83, Macomb IL 61455. For general public the price is $17.95 and is available at New Copperfield's Book Service in Macomb (phone: 309-837-3052 or email: bookservice@macomb.com).